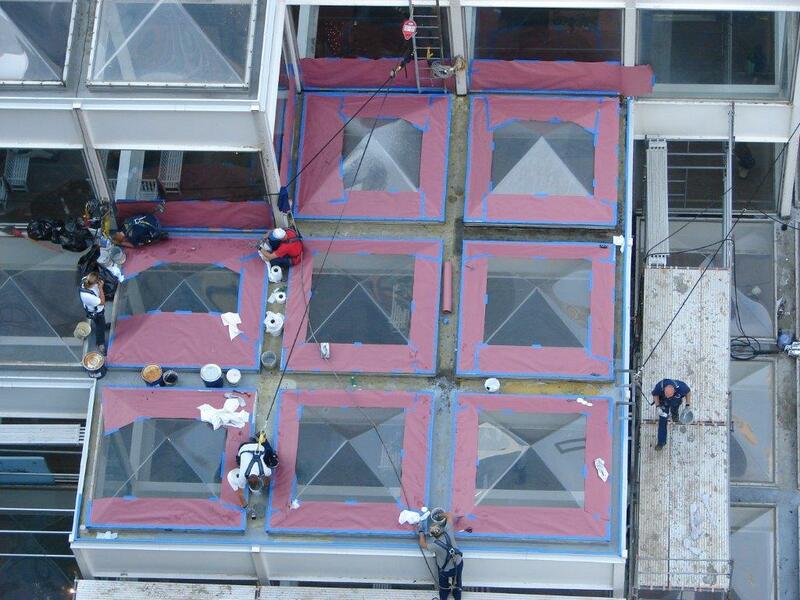 We do everything from roof design planning to preparing construction documents or serving as expert witnesses. We have a comprehensive understanding of each building component and its relationship to the whole. 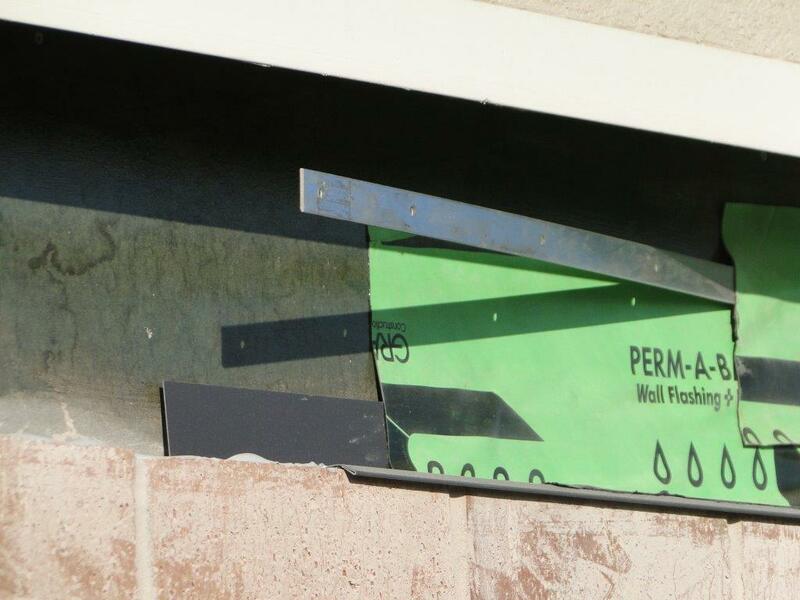 We have the skills to locate existing weaknesses and the know-how to apply appropriate waterproofing measures. on achieving long-term client goals - one assignment at a time. 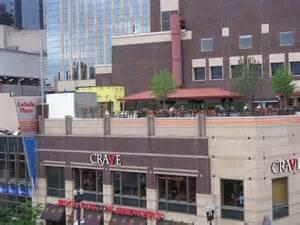 Crave Restaurant at LaSalle Tower– Mpls. 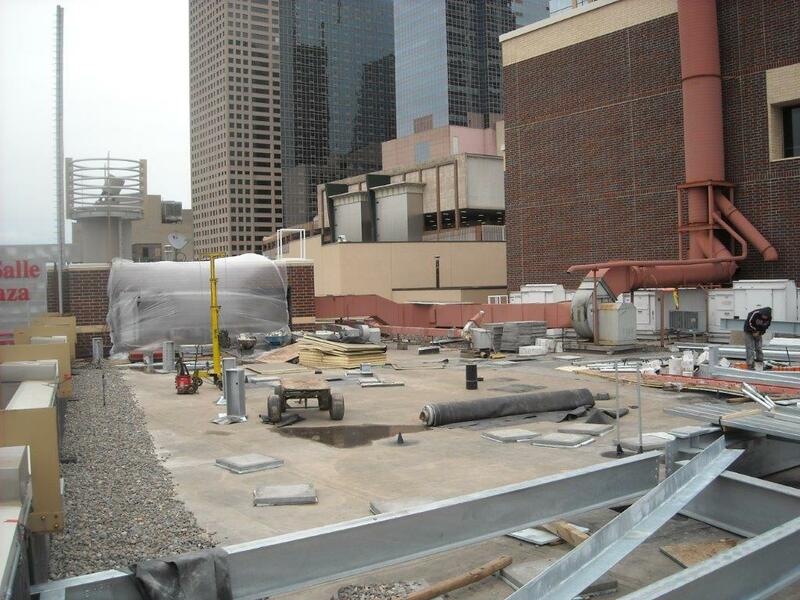 Zeller Realty had AMBE LTD. design and install a new roof system in 2011. 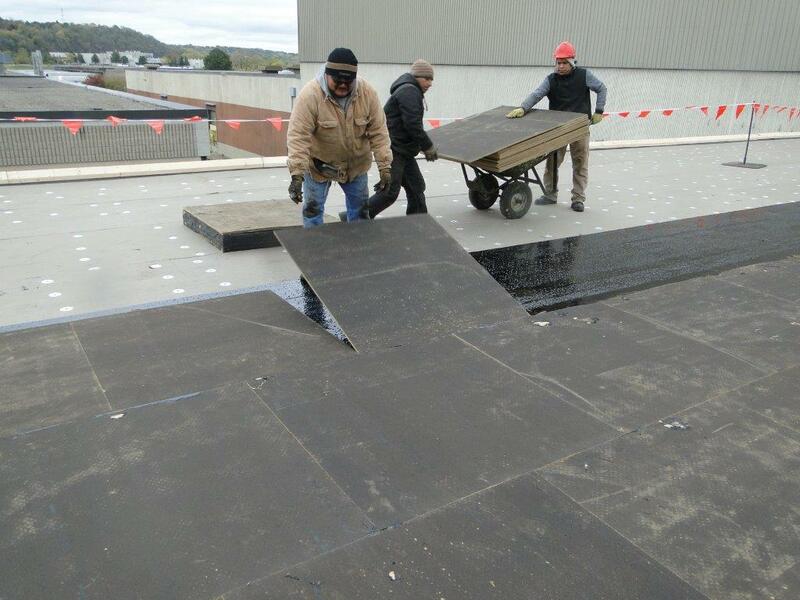 Installation was new Isocyanurate insulation with a 60-mil reinforced fully adhered EPDM membrane. 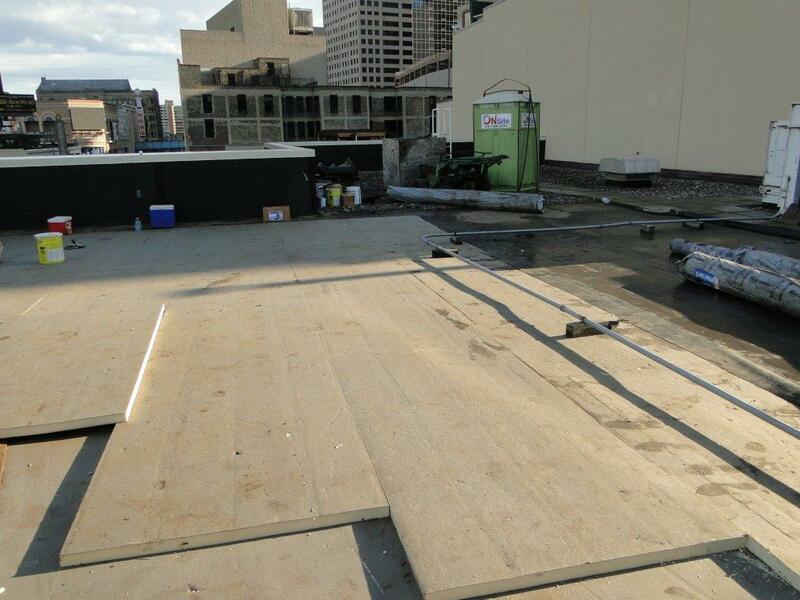 The following year ownership agreed to make the roof into a rooftop patio for Crave Restaurant. Along with the architects, AMBE LTD. worked on the design, established how all of the beams would be installed into the roof system, and tied into the foundation of the concrete deck. 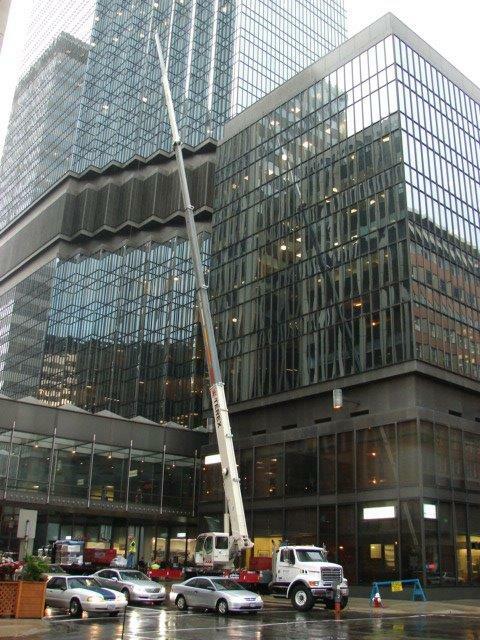 AMBE LTD. has provided Building Envelope consulting services for the IDS Center, one of the most prominent properties in the Twin Cities, over the course of the last 20 years. 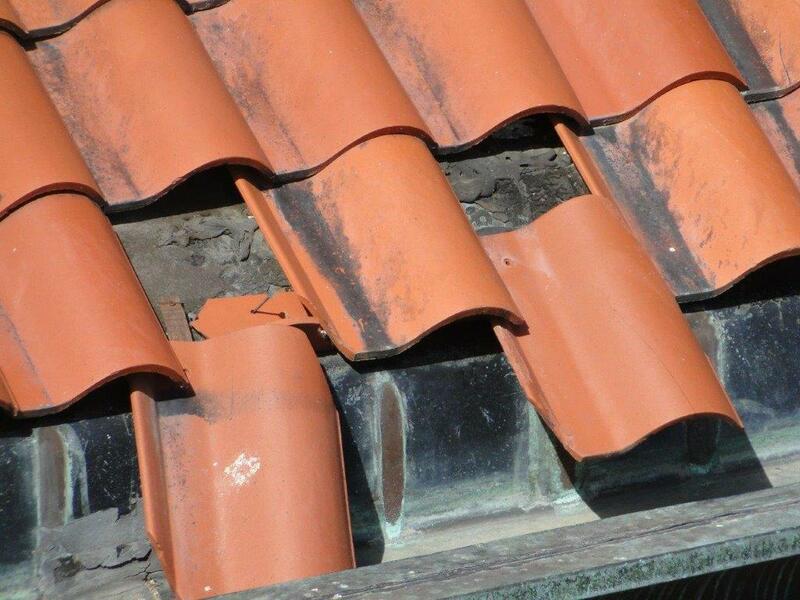 Starting with yearly roofing surveys, which lead to design and project management of numerous projects. The Hotel and Annex roofs were replaced in 1998 with a new built up roof. This included improvements in the drainage and the installation of a decorative gravel surfacing to improve the appearance due to the high visibility from other buildings. The roofs are performing exceptionally and still look great more than 15 years after installation. The roof on the retail section was replaced in 2013 based on the design and project management provided by AMBE LTD. 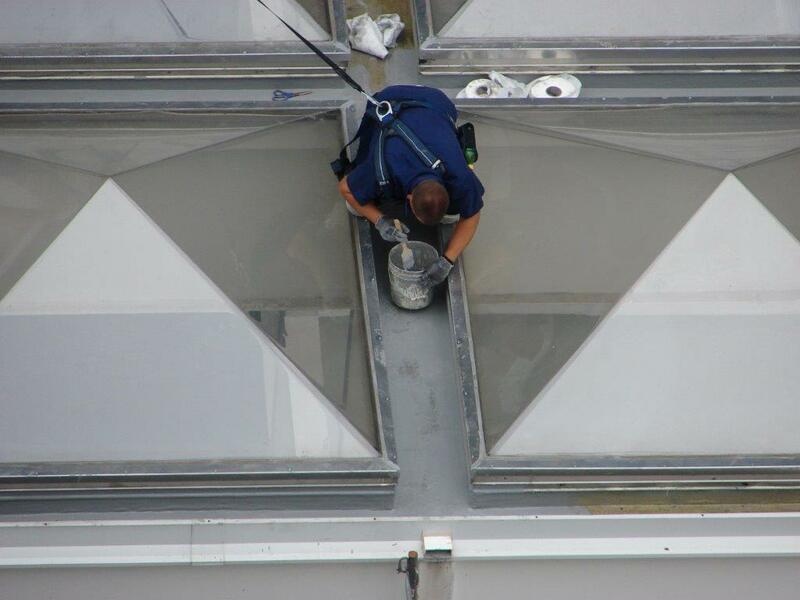 The roof had reached the end of its useful life and required regular cleaning of the white single ply membrane. 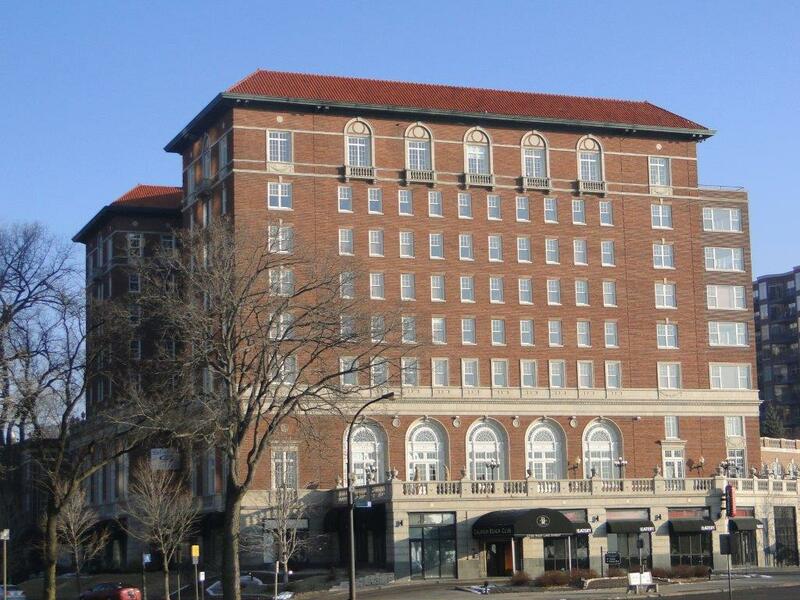 The roof was replaced with a built-up roof that matches the roofs on the Hotel and Annex sections, and will be covered by warranty until the year 2033. 2014 Roof Restoration - Calhoun Beach Club 1924 Clay Tile Mansard and Copper Cornice. Complete restoration utilizing matching materials and detailing of the original construction. Project Investigation, Schematic design, Budget Development and Construction Documents Completed in 2012-2013. 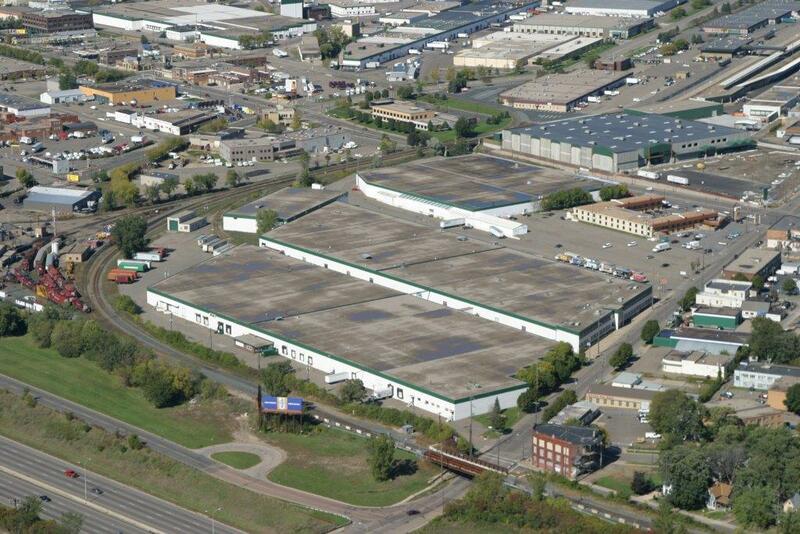 Construction Phase Starts April 21, 2014. 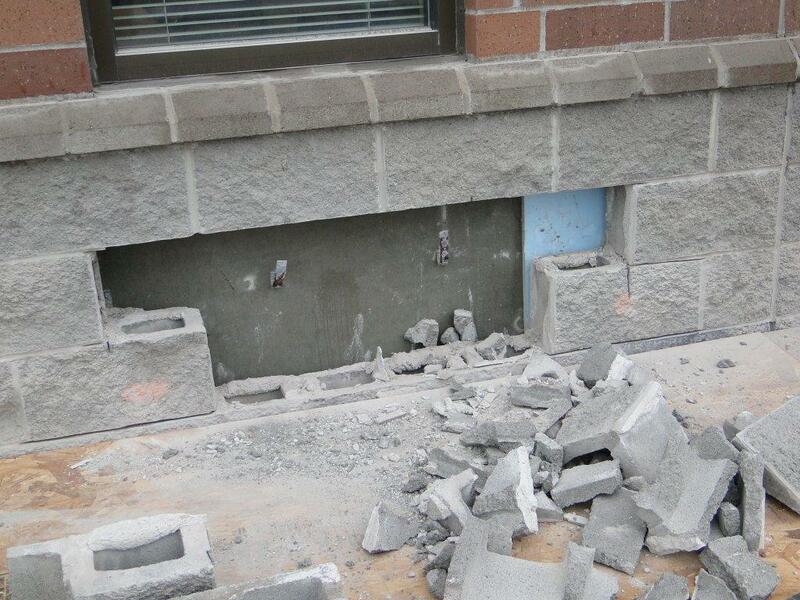 The exterior walls of the clinic were experiencing extensive leakage during heavy wind driven rains. 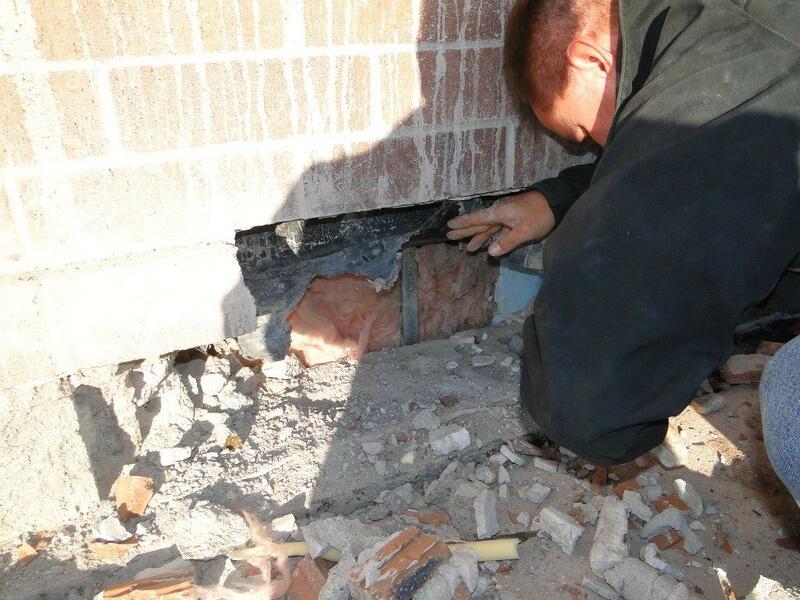 AMBE LTD. investigated the problem and identified numerous issues and original construction defects. AMBE LTD. developed a scope of remedial action and construction documents for bidding purposes. Once a pre-qualified contractor was awarded the project, AMBE LTD. provided construction observation and consulting during the construction period. Due to budget constraints, only one elevation of the building was addressed. 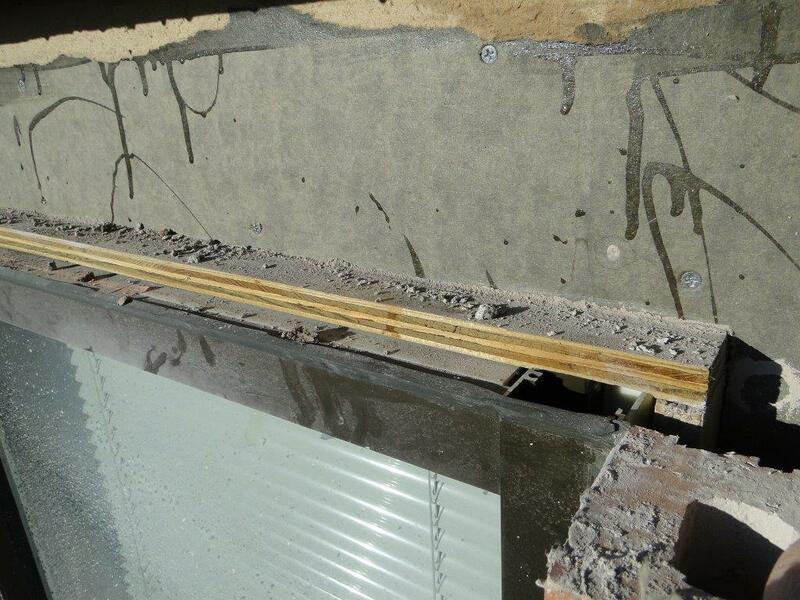 No leakage has been experienced in the repaired sections since completion. Additional work on the remaining sections is scheduled for 2014. 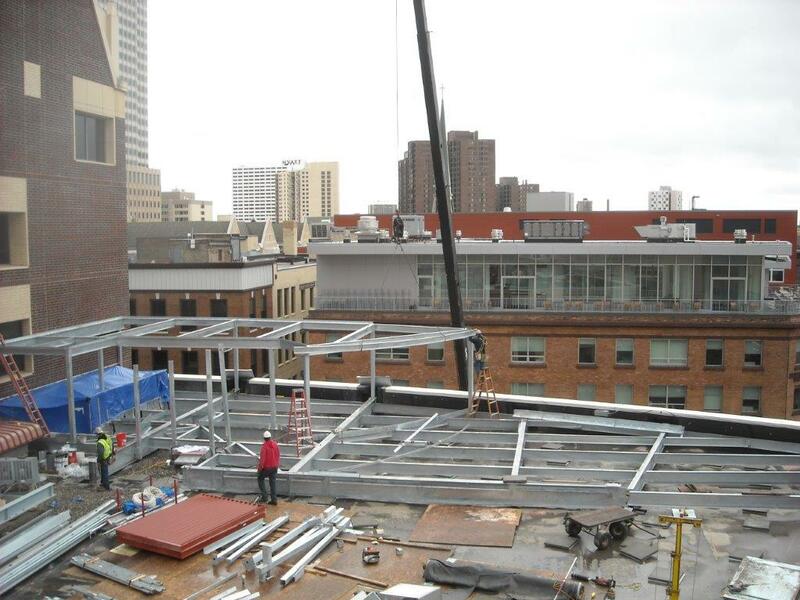 AMBE LTD. has been working with the Brown & Bigelow building and roof system for the past 20 years. 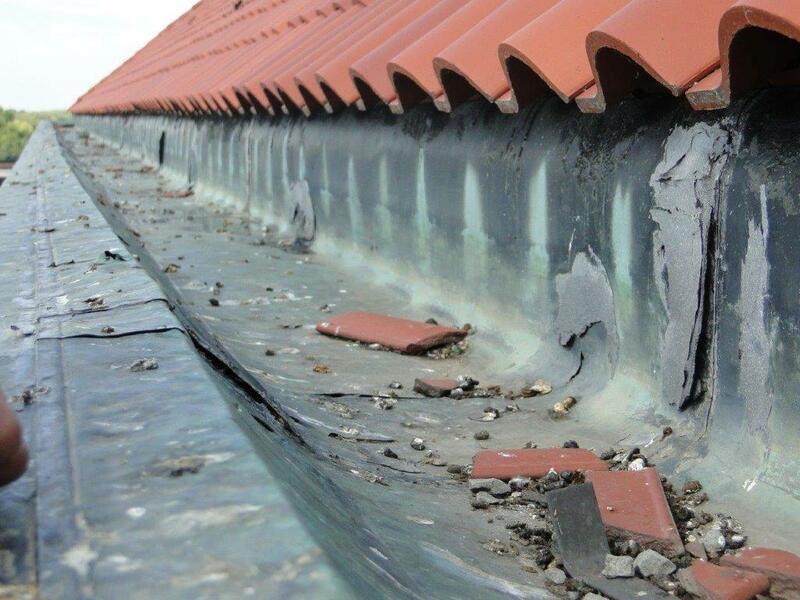 When we originally began our roof observation and recommendations for maintenance, AMBE LTD. helped design a long-term maintenance program to keep the existing roofs in place for an extended period of time. 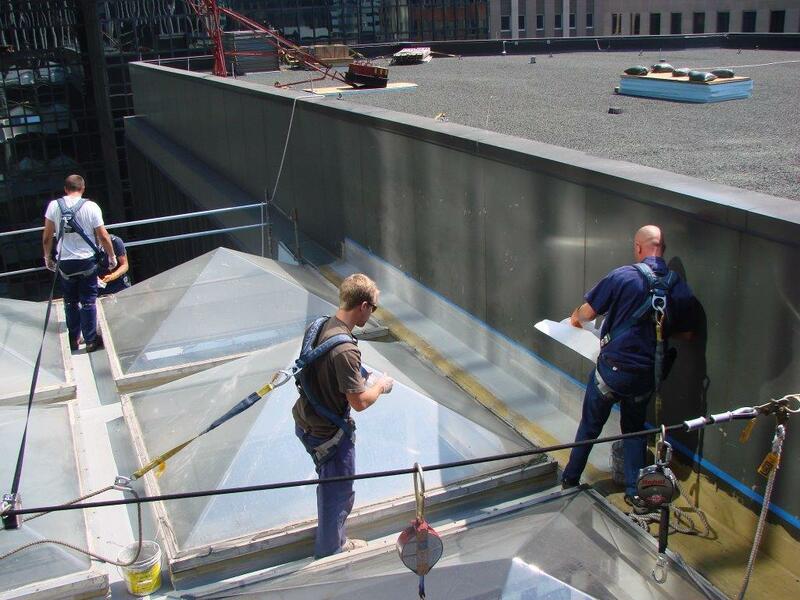 Upon completion of the maintenance program, the roof system on this 444,000 square foot building was extended by 10 to 12 years over and above their design life. The roofs remained watertight until reroofing was necessary. 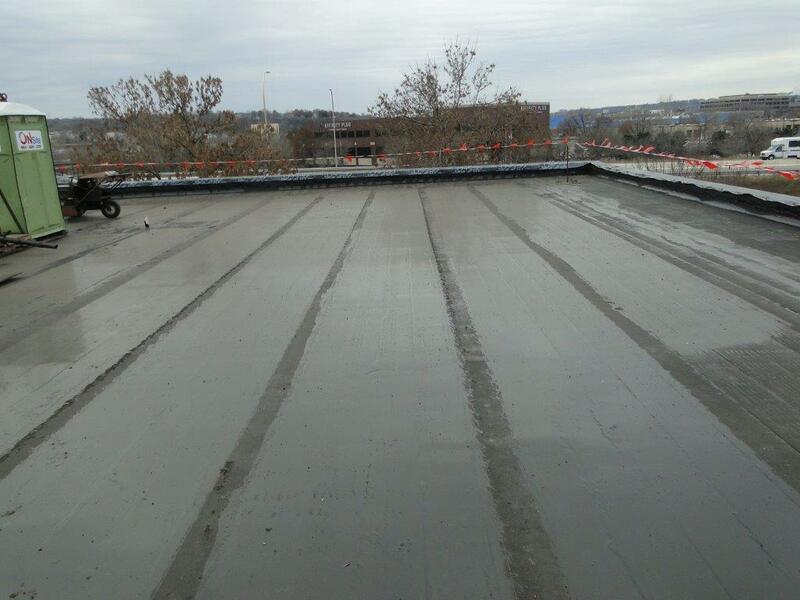 Based on the Isocyanurate insulation over the metal deck, during the reroofing process we were able to recapture the use of most of the insulation. 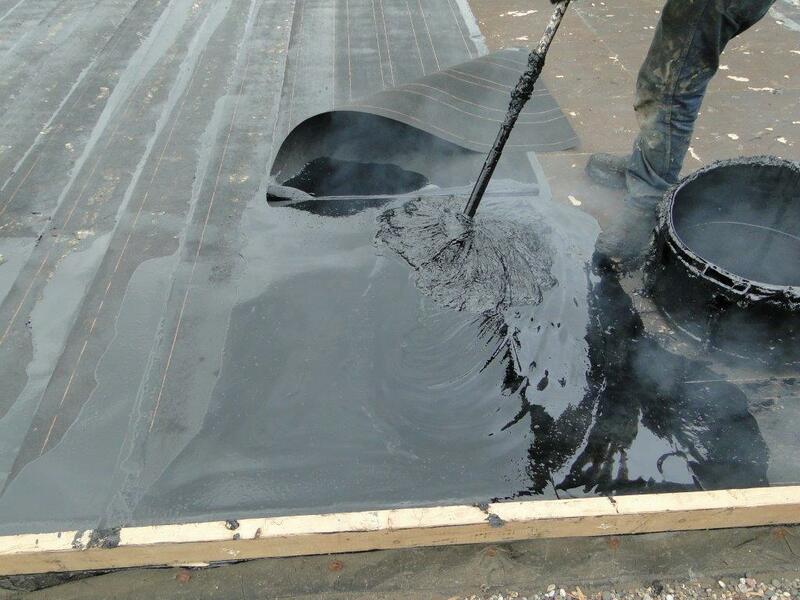 "Knowing that our clients have the need for cost effective, quality and long-term roofing and waterproofing solutions, AMBE LTD is totally committed to serving our clients' needs more effectively, efficiently and creatively than anyone else." 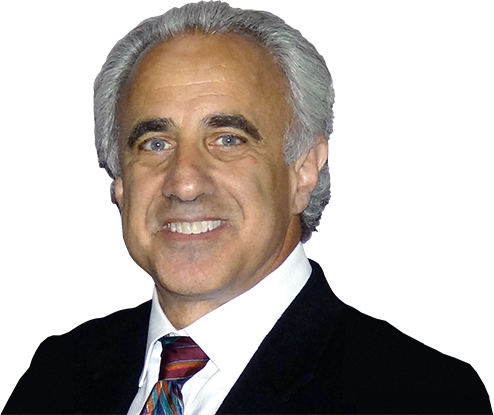 - Richard Grobovsky, CEO, AMBE LTD.
To ensure we constantly achieve our client's vital goals and our high standards, we have purposely kept the company small. Every AMBE LTD. assignment is handled by our core team. I have worked with AMBE LTD. for the past three years. They have been so extremely helpful. It is so rare to find a consulting firm that is so knowledgeable, honest, and passionate about their work. I have worked with Rick, Mark, and Mike. They are always thorough in explaining the details of their findings and recommendations. I highly recommend AMBE LTD. for consulting services and to help property owners and managers in troubleshooting difficult property and building issues.